Ouzo: What is it, Where Does it Come From and What's in it? Ouzo: What is it, Where Does it Come From and What’s in it? Ouzo is a strong Greek spirit with an aniseed flavor and millions of foreign fans who enjoy sipping this drink as they while away their summer vacations on the Greek islands. Ouzo is produced in dozens of local distilleries across the country and as well as being sold cheaply within Greece, it’s also shipped far and wide. 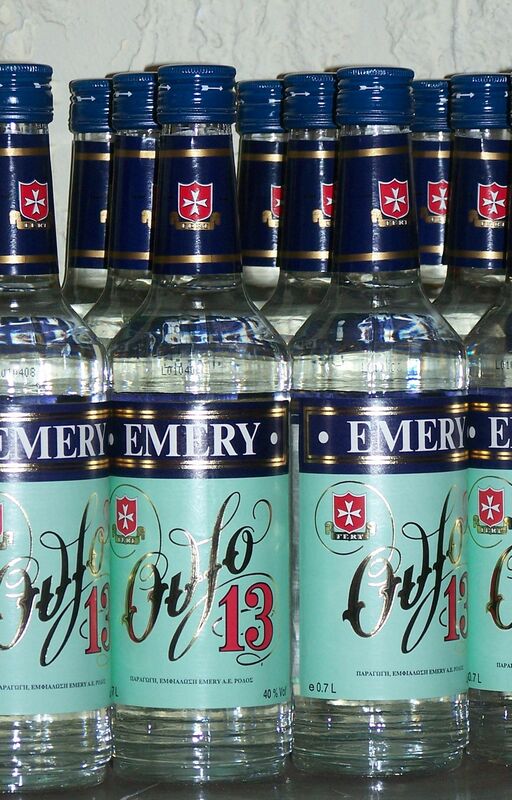 Along with Metaxa, ouzo is considered to be the drink of Greece and not without reason. 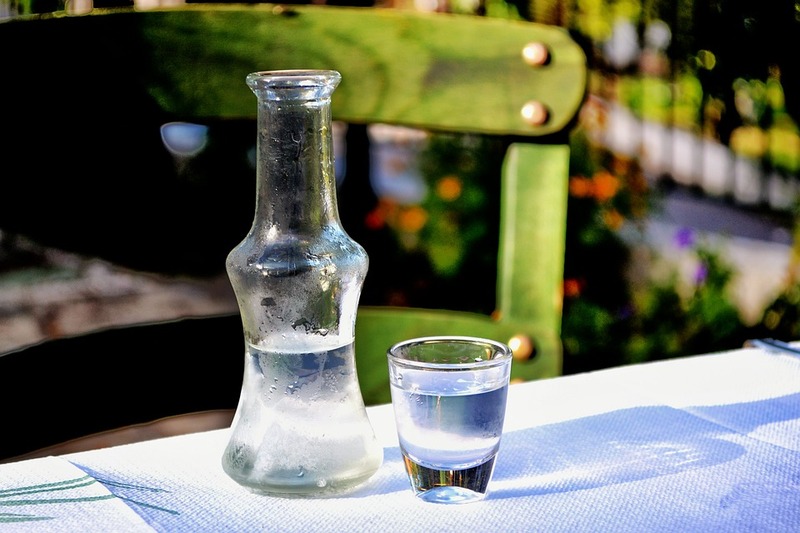 Ouzo is said to have been created from another Greek drink, tsipouro. This is a dry, stronger drink that doesn’t have as much flavor and is more of an acquired taste (which is why it is often consumed in shots and not sipped). This is said to be the reason why one community of 14th century monks decided to spice the drink up by adding anise, thus creating ouzo. What Does Ouzo Taste Like? Ouzo has a somewhat unique flavor, although it does bear some similarities to sweeter anise-flavored drinks like sambuca. It is a strong, clear spirit typically 40% in volume. It is typically served over ice, to which water is then added, forming a cloudy drink with a slightly blue tinge. The taste is dry, but with a hint of sweetness and a strong, aniseed/licorice taste. It’s very enjoyable and makes for a great summer tipple. If you order a drink of ouzo in Greece then it will be served with a small plate of finger foods, including cured meats, crackers and cheese. This is because ouzo is often considered to be a “dirty” drink by the locals, one that isn’t kind on the stomach and should therefore be consumed with food. Fortunately, this is not entirely true, but it is always advisable not to consume strong alcohol on an empty stomach, so it still makes sense. Why is Greek Ouzo the Best? Greek ouzo is the traditional recipe. This is where the heart and soul of the drink is, but it is also produced in Cyprus and in Lebanon and you can get a very nice bottle of the white stuff from both of these countries. This recipe may differ slightly depending on the brand and you will notice that there is a distinct flavoring in all of them. 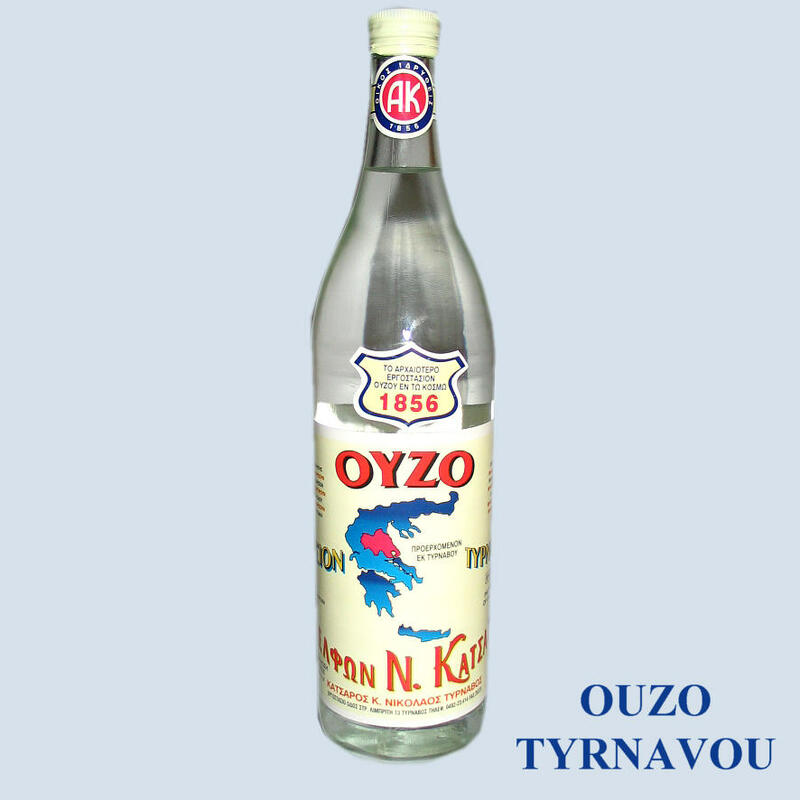 A personal favorite of mine is the ouzo made in my hometown by Karonis Distilleries. I’m biased, I know, but it’s also a drink that my English partner adores and one that he prefers to the more popular brands like Ouzo 12. Karonis Ouzo is not as widely available as Ouzo 12 outside of Greece, but it’s very cheap and common in Greece and if you have the chance to pickup a few bottles I would definitely recommend it. It is strong and has less of a fruity taste than other varieties, but that fruity taste can be a little off-putting anyway. In Nafplio, where the distiller is based, you can drop in with an empty bottle and fill it directly from the tap. You can get about half a gallon of ouzo for the same price as you would pay for a small bottle of the imported brand name stuff. They also have some quality Mastika, so be sure to pickup a bottle of that as well. There is an aftertaste here that I wasn’t too keen on when I first tried it, but having been brought up drinking Karonis, which is completely different, it was to be expected. This is still a great ouzo though and it’s also widely available as an import. Just look for the “12” on the label. In the US you should pay no more than $30 for a bottle and it is typically available at $20 or less. In the UK you can buy from supermarkets for £15 to £20. Ouzo is best drunk straight. Unlike vodka, it as a very strong taste, so it doesn’t make for a great mixer. There are some ways to get more variety out of this drink though. Juices: Ouzo works really well with citrus juices and cranberry juice. Herbs: Mint can bring out the sweetness of the ouzo and create an anise-style mojito. Spirits: Creamy spirits like Kahlua and clear spirits like tequila are great mixes. You can also add dark and golden rum for strength and flavor. Brandy: For an extra depth of flavor, try Metaxa or strongly flavored brandy (like cherry brandy) with ouzo and vodka or tsipouro. It’s always best to serve over ice and to finish with a slice of lemon or lime, adding color and a dash of citrus. Ouzo is very cheap in Greece, but if you order in a bar that tourists frequent and in a city that is big on tourists then you can expect to pay a little more. Typically, you can drop into a local distillery and find ouzo at its cheapest, but you can also find low-priced bottles in your local liquor store or supermarket. You can secure a full sized bottle for less than €10 and there are smaller bottles as well if you want something that can easily fit into your suitcase. In bars, as mentioned above, you may be served the components as opposed to a drink, with a little bottle of ouzo, a bottle of water and a meze. At the very least you will get a shot or two of ouzo in a glass and a bottle of water on the side so you can pour to taste. In the US you can buy cheaper varieties of ouzo for less than $15 a bottle, while brands like Ouzo 12 will set you back between $20 and $25. The more expensive brands are still quite cheap here, typically on par with 5 star Metaxa.